In Pennsylvania, as in most states, the first step in the probate process is for the executor -- the person designated in the will to oversee the distribution of the estate -- to gather the will, the death certificate and any other supporting documents and file these with the Register of Wills. The executor also has the duty to gather and inventory all of the estate’s assets and determine which of the assets must go through the probate process and which can be distributed directly to beneficiaries. After a certain period of time has elapsed in which creditors can come forward with claims against the estate, and all applicable taxes are paid, the assets are finally distributed and the estate is closed. 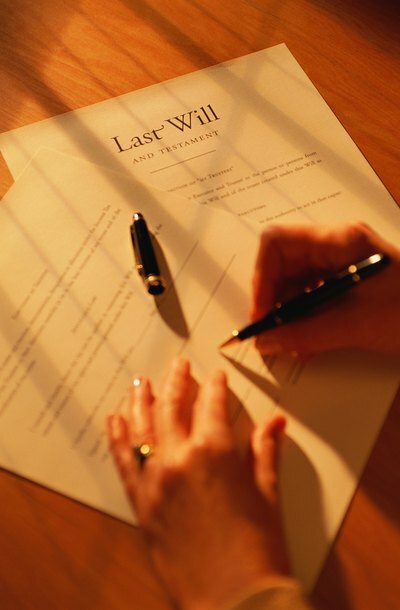 Normally, an estate will be distributed in accordance with the terms of the will. But when a named beneficiary dies during the probate process, distribution of the estate may be altered. In such a case, the beneficiary’s share of the deceased's estate may pass into his own estate for his heirs or it may go back into the original testator’s estate for distribution to other named beneficiaries, if any. The exact terms of the will can have an impact on how the court will resolve this situation. If a will indicates that a named beneficiary must outlive the testator for a certain period of time in order to take the designated portion of the estate, those terms must be followed. A beneficiary who dies within the set time frame is usually treated as having predeceased the testator. If he had survived that time period by even a day, his heirs would be entitled to take their allotted share of the testator's estate. If a will does not include this type of provision -- and many do not -- Pennsylvania law states that as long as the named beneficiary was alive at the time of the testator’s death even if the beneficiary died shortly afterward, the beneficiary’s share of the deceased's estate goes into his own estate for his heirs. If a testator has named only one beneficiary, and that beneficiary dies during the probate process, the entire estate will go into the beneficiary’s estate if the beneficiary outlived the testator by the terms stated in the will. If the survival of the beneficiary is not addressed in the will, the estate will pass to the beneficiary’s estate as well. But if the beneficiary failed to outlive the testator in accordance with the terms of the will, and there are no other named beneficiaries, the estate will be distributed to other heirs of the deceased pursuant to Pennsylvania intestate laws, as if no will had existed.